Vijay's upcoming movie Thalapathy 63 is about friendship and revenge and will be narrated in the sports backdrop. Over the years, Vijay has been cautiously picking up subjects that will reach out to all section of audience. His policy has been to work on films which will have a right packaging, thereby winning the hearts of mass, class, family and kids. 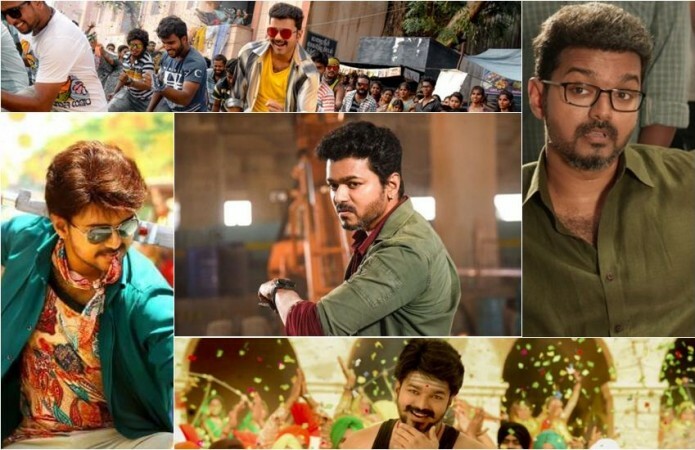 His latest film, presently referred to as Thalapathy 63, is no exception. The latest cover story of Tamil's leading magazine Vikatan gives an insight into the content of the movie. According to the article, Thalapathy 63 deals with football, politics in sports and more importantly about friendship between two individuals played by Vijay and Kathir. The tale is being spiced up with action and romance. Looking at the article, one gets an impression that Thalapathy 63 is a revenge entertainer. As rumoured earlier, the name of Vijay's character is said to be Michael and the title of the movie will have a strong connection to his character. Vijay plays the role of a football player as well as coach. The actor has undergone a short training so that his performance looks authentic to the audience. As per the report, Thalapathy will try hard to fulfil his friend's dream of taking the latter's team to the top place in their locality in the upcoming Tamil flick. Currently, the shooting of the movie is in progress in Chennai. The makers have plans to wrap up the filming by July with the plans of releasing Thalapathy 63 for Diwali in October. Atlee Kumar-directorial is produced by AGS Entertainer. Nayanthara is romancing Vijay in the Tamil flick. Meanwhile, Sun TV has acquired the satellite rights of Thalapathy 63. "We are very happy to announce that ⁦@SunTV⁩ has acquired the Tamil Satellite rights for #Thalapathy63 I am sure this will join the list of memorable movies that we watch again and again on Sun . [sic]" Archana Kalpathi, CEO of AGS Entertainment, tweeted.